Customer self-service software provides a platform for end users, prospects, or customers to access information and perform tasks without the need for live chat or customer support representatives. Companies utilize the tools to provide around-the-clock support for customers, visitors, and employees to access information. These products provide support in a variety of ways. Many come in the form of web portals where simple, commonly asked questions are answered in the form of an interactive FAQ. Others are more consumer based, allowing users to complete tasks like performing self-checkouts and retrieving product information. Others function over the phone to guide users through a purchase or support process. Many utilize live chat tools to interpret text and interact with AI platforms. Help desk software is geared toward providing similar assistance, but those require human or AI assistance from the provider’s end. Social customer service software can be confused with customer self-service products as well. Those tools, though, are meant to aggregate social data and respond directly to users needing assistance via social media platforms. Customer Self-Service reviews by real, verified users. Find unbiased ratings on user satisfaction, features, and price based on the most reviews available anywhere. Salesforce Service Cloud is a customer relationship management (CRM) platform for customer service and support, built on the company's CRM software for sales professionals. Service Cloud gives you a 360-degree view of your customers enabling you to deliver smarter, faster, and more personalized service. Salesforce is the leader for CRM customer engagement. With Service Cloud, you can automate service processes, streamline workflows, and surface key articles, topics, and experts to transform the agent experience. Connecting one-to-one with every customer, across multiple channels and on any device, was never easier. Provide a great customer support experience with Zoho Desk. Prioritize, manage and close an ever-increasing volume of requests that reach your organization through a variety of channels. Build and publish a support knowledge base. Analyze and improve the performance of your customer support team. Zoho Desk is a flexible, Cloud-based help desk support software with Contextual AI that allows you to provide the support experience your customers deserve. Freshworks' cloud-based customer support software, Freshdesk, makes customer happiness refreshingly easy. With powerful features, an easy to use interface, and a freemium pricing model, Freshdesk enables companies of all sizes to provide a seamless multi-channel support experience across email, phone, web, chat, forums, social media, and mobile apps. 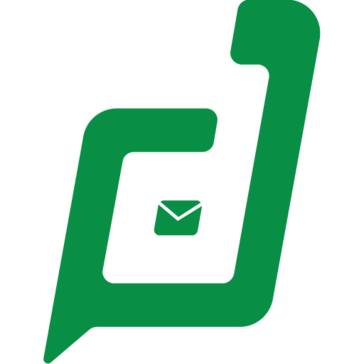 Freshdesk’s capabilities include robust ticketing, SLA management, smart automations, intelligent reporting, and game mechanics to motivate agents. Freshdesk is part of the Freshworks product family, whose products include Freshservice IT Service Management Software, Freshsales CRM Software etc. – with more than 150000+ customers worldwide, including Hugo Boss, Toshiba, Cisco, Honda, The Atlantic and QuizUp. Extremely flexible and easy to use customer support management and help desk application that is built for business to business (B2B) and designed to grow with you. With a focus on internal collaboration your support team can respond to and resolve customer issues faster and easier to deliver an exceptional customer experience. TeamSupport is ideal for B2B technology and software development companies, but the flexible and intuitive design makes it a great choice for any company with an external-facing support team. TeamSupport features include advanced customer service portals, best-in-class reporting, live chat, ticket automation and escalation, screen recordings, multi-channel support and much more. TeamSupport has a host of integrations including Jira, Slack, Salesforce, HubSpot, Oracle, Highrise, Mailchimp, Dropbox, Zoho CRM & Reports, Beanstalk, and more. Helpshift is the leader in conversational customer service. Used by leading brands such as Microsoft, Supercell, Xfinity, Tencent, Virgin Media and BBVA, Helpshift engages consumers across any device, app or website with a messaging-based service experience. Enterprise capabilities such as customizable Bots, a high deflection knowledge base, and an AI-powered case management system helps leading brands deliver superior customer service with unbeatable cost and scale. Helpshift's platform includes native functionality such as in-app and web messaging, integrated bots, AI-powered in-app and web knowledge base, an enterprise-grade case management system, proactive messaging, and conversational surveys, making it easy for companies to provide a best-in-class customer service. Salesforce Customer Self-Service helps customers find answers fast, on their own terms and time frame. It gives your customers the self-service portals, discussion forums, and access to the answers they need quickly, anytime, and from their laptop, tablet, or mobile device. Wix Answers is the help desk software built and used by Wix to support over 120 million users. Users can add customer support in the form of a help center to their websites. It's free to use. Re:amaze is a helpdesk and customer messaging platform designed for websites, stores, and apps. Use Re:amaze to provide exceptional customer support through live chat, email, social media, mobile SMS/MMS, and FAQ Knowledge Bases. Businesses of all shapes and sizes also rely on Re:amaze for sales and marketing automation using features such as Re:amaze Cues (a way to automatically message online customers), Re:amaze Live Dashboard (to monitor online customer activity in real time), and send customer satisfaction surveys (to gauge service quality and gather feedback). Re:amaze offers native integrations with many popular 3rd party apps such as Slack, Shopify, BigCommerce, Stripe, MailChimp, Google (Analytics, Tag Manager, Suite), ShipStation, Klaviyo, and much more. Businesses can also use a single Re:amaze account to manage customer service for multiple businesses or stores with the Multi-Brand feature. WalkMe™ is the pioneer of the Digital Adoption Platform (DAP) — an enterprise-class guidance, engagement, insights, and automation platform. As the digital revolution transforms the workplace and customer preferences, WalkMe’s holistic approach simplifies enterprise systems, customer-facing sites and mobile apps for the overwhelmed user. WalkMe’s DAP enables the creation of interactive on-screen sequences that guide and engage users throughout any digital experience. Powered by AI and machine learning, WalkMe’s context-intelligent algorithm streamlines digital adoption internally and externally, ensuring that the right users receive the right information exactly at the moment of need. With WalkMe, employees are more efficient and productive, customers stay loyal and engaged, and businesses enjoy the full value of their digital assets. WalkMe’s platform is used by over 2,000 enterprises including 35 percent of Fortune 500 companies across all industries. HubSpot is a leading growth platform. Since 2006, HubSpot has been on a mission to make the world more inbound. Today, over 52,000 total customers in more than 100 countries use HubSpot’s award-winning software, services, and support to transform the way they attract, engage, and delight customers. Comprised of Marketing Hub, Sales Hub, Service Hub, and a powerful free CRM, HubSpot gives companies the tools they need to Grow Better. HubSpot Service Hub is customer service software that makes it easy to manage and connect with customers, and truly help them succeed. You’ll make customers happier, keep them longer, and grow your business faster. Help Scout scales like any other help desk, but the customer experience feels personalized like email. Help Scout is ideal for companies of all sizes, and specifically companies with 11+ users. Help Scout's clutter-free features keep teams of any size on the same page. With best in-class-reporting, integrated knowledge base, robust API and tons of integrations, and free iOS apps and Android app to support customers on the go, Help Scout lets your team focus on what really matters: your customers. Help Scout is used by companies that insist on a delightful customer experience. Trusted by 7,000 customers in 70+ countries including KissMetrics, Buffer, GrubHub, AngelList and Timbuk2. Jira Service Desk is Atlassian's service desk software for modern IT teams. It delivers an effortless service experience, adapts to your support needs, and promises set up time and pricing at a fraction of competitors. Reshape what IT means to your business at www.atlassian.com/servicedesk. Whatfix is a leading Digital Adoption Platform that helps companies deliver modern and easy onboarding, effective training and better support to users through contextual content displayed at the time of need. Whatfix powers-up software solutions by lending incredible simplicity, intuitiveness and personalization. Several Fortune 500 enterprises worldwide trust Whatfix to ensure quick ROI on their technology investments and improve end-user productivity and performance. Oracle Service Cloud, part of the Oracle CX Cloud Suite, is a cloud-based, omnichannel solution that captures a 360-degree view of every customer in a dynamic and unified agent desktop. Oracle Service Cloud’s innovative approach is driven by knowledge, automation, and evolving customer interaction channels, simplifying every service experience for service administrators and customers alike. By helping to differentiate your organization's service experience, Oracle Service Cloud delivers measurable business impacts across all industries. This flexible and scalable platform includes: Web Customer Service: Oracle’s Web Customer Service is a highly interactive and customized experience that lets customers engage with your business on their own terms via online or mobile devices. Powered by a customer portal, a syndicated widget framework, and self-learning technology, customers can self-serve by leveraging a dynamic knowledge base, Facebook pages or peer-based community, reducing operational cost costs. And they can escalate to assisted service via live chat, messaging, social networks like Twitter, email, or call appropriate agents to resolve their unique needs via intelligent routing. More and more, organizations can engage in automated or proactive service through virtual assistants, chat bots, or the Internet of Things. Cross-Channel Contact Center: Oracle’s Cross-Channel Contact Center empowers organizations to provide immediate, consistent, and even proactive service across multiple channels. By bringing together all customer interactions in a desktop or mobile application– from email, telephony, live chat, co-browse, SMS, messaging, or video chat–into one unified agent desktop, the Cross-Channel Contact Center captures a unique 360-degree view of every consumer, guiding agents to seamless resolution. The agent desktop can be dynamically delivered based upon brand or role, providing all relevant information (such as billing, orders, and commerce data) at the agent’s fingertips. Field Service Management (Formerly TOA Technologies): Built on a time-based, self-learning and predictive technology, Oracle’s Field Service Management automates and optimizes operations that take place in the field. By leveraging predictive forecasting tools, it eliminates customer uncertainty, exceeds their expectations, and ensures timely job completion all while increasing organizational productivity and efficiency. Knowledge Management: Oracle’s Knowledge Management provides a fully integrated cloud knowledge management solution that delivers a seamless and consistent experience across all channels, from self-service and contact centers to communities and social sites. It is the backbone of every omnichannel service strategy, increasing customer loyalty and organizational efficiencies across the board. Policy Automation: Oracle Policy Automation (OPA) delivers Smarter Advice. Smarter Advice empowers organizations to provide a more personal, richer interaction with customers. OPA enables organizations, in any industry, to easily automate business process, rules, regulations and organizational policies. 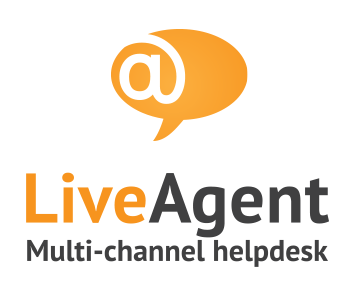 OPA automates decisions and delivers personalized experiences, provides agile management and increases transparency and compliance..
LiveHelpNow help desk software suite facilitates real time, omnichannel customer service communications via Live Chat, SMS, Email, Facebook and Twitter. Top rated by Business.com 8 years running, Inc 500 fastest growing companies list 3 years in a row. 8k+ implementations, with over 2k implementations in Enterprise arena. Starting only at $18.90 per month per agent on annual contract. Kayako is effortless customer service software that helps teams be more productive and build customer loyalty. Unlike legacy support tools, Kayako brings together your multi-channel conversations and customer information, so you can support customers as a team and keep the personal touch, even as you grow. Happyfox is a practical help desk software which provides multi-channel support for customer requests coming from email, web, phone and social media. Happyfox integrates with business applications for Accounting, customer feedback, CRM, commerce and so on. iOS, Android and Windows version of the app enable to provide support through smartphones and tablets. Community forums and knowledge base helps customer provide instant support and connect with each other. SnapEngage is the premier omnichannel messaging platform. Since 2008, we've partnered with businesses to transform customer engagement throughout the customer lifecycle, positively impact KPIs, and drive measurable business outcomes. Our clients consistently experience increased sales conversions, increased CSAT/NPS, and reduced cost-per-interaction after implementing SnapEngage. Our fully-featured, secure solution for sales and support teams offers robust CRM & Help Desk integrations, is HIPAA & PCI compliant, and includes advanced analytics to prove ROI. Every day, SnapEngage drives positive outcomes in the following verticals: SaaS & Technology, Healthcare, E-Commerce & Retail, Travel & Hospitality, Real Estate, Insurance, Government, Education, Nonprofits, and more. We're ready to partner with you to transform your customer engagement. Contact our Solution Specialists today to schedule a live, fully-customized product demo tailored to your business goals and service requirements. Solvvy delivers an effortless customer experience by immediately resolving customer issues using machine learning and artificial intelligence. Solvvy automatically indexes and learns from your knowledge base and prior successful agent resolutions. Solvvy customers are able to reduce ticket volume and operating costs while improving customer satisfaction by enabling their customers to self-serve across web, mobile and chat. Aspect CXP Pro empowers enterprises to deploy contact center & customer engagement self-service solutions on voice (IVR), text/messaging (chatbots), and mobile channels (disposable apps) with a design-once-deploy-anywhere approach. CXP Pro speeds up time-to-market, lowers customer service cost through automation, lowers average handling time (AHT), frees agents from repetitive tasks, improves the customer experience through 24/7 availability, and increases first contact resolution (FCR). Panviva is reinventing the omni-channel customer experience and empowering its clients to deliver real-time information to further boost customer retention, loyalty and growth in today’s digital era. Only Panviva software enables companies to serve-up a seamless, consistent, personalized and responsive omni-channel customer experience. Companies around the world and across multiple industries rely on Panviva to help revitalize their business and customer engagement strategies. MindTouch is a SaaS company building self-service software that scales. Based in San Diego, MindTouch was named one of the 2017 Hot 100 best privately held software companies by JMP Securities and is customer-obsessed with 43 million monthly users. Learn more at www.mindtouch.com. Steve and Aaron met at the Advanced Systems Research Team at Microsoft. Steve was perplexed by the persistent lack of innovation around knowledge documentation systems. To Aaron, it seemed that every company was developing knowledge silos in every department. These silos were preventing companies and their customers from finding the answers they need to be successful. They realized that organizations were being held back by bad software. People were struggling with PDFs that were not mobile-friendly, expensive federated search systems that often did not work, and knowledge base systems that could not scale to the organizational need. At the same time, they recognized that people do not want to be guided, forced, or supported—they want the freedom to self-serve knowledge on demand. Together they designed an innovative, scalable knowledge system to meet certain requirements: - Deploy quickly with a turnkey setup - Customizable without costly services engagements - Extend into CRM software, websites, and product interfaces - Use machine learning to continually improve every time it is used It was time to revolutionize documentation. It was time to allow users to self-serve expert knowledge on demand. We call it MindTouch. MindTouch is a smarter knowledge base that improves support agent productivity, increases ticket deflection, and fuels self-service support. MindTouch allows support teams to create and publish content into a customizable self-service experience. Extra capabilities include multiple API endpoints, CRM integrations, and powerful reports. With MindTouch, your customers find your expert knowledge whenever and wherever they need it. A fully integrated IT Help Desk and Asset Management solution for small to mid-sized organizations. 8,000+ companies provide personal support at scale with Groove’s Shared Inbox, Knowledge Base, and Reports. All without breaking the bank. Salesforce Knowledge lets you create and manage a knowledge base with your company information and securely share it when and where it's needed. Inbenta, a global leader in artificial intelligence, utilizes patented natural language processing technology to provide a highly accurate search solution for customer support, e-commerce and chatbots. Inbenta's semantic search engine understands & delivers results based on the meaning behind customers’ search queries, not the individual keywords, leading to improved customer satisfaction, lower support costs and stronger ROI. The result: industry-leading 90%+ self-service rates. Salesforce Essentials makes it possible to tap into the power of Salesforce to build stronger customer relationships with a combined sales and support CRM for small business that is easy to use, setup, and maintain — for just $25 per user per month. Because this small business software is built on the world’s #1 CRM, small businesses don’t have to worry about outgrowing their CRM — they can upgrade quickly and easily with Salesforce when they're ready. With Essentials, you can sell faster with a customizable view of all your sales details. Essentials ensures that you spend less time in spreadsheets and more time selling by tracking your emails, calls and meetings to automatically keep customer records up-to-date without tedious data entry. You can also access and update your data anytime with the Salesforce mobile app. Once you close a deal, Essentials also includes a ton of customer service for small business productivity tools to help you make every new customer a loyal one. You can automate repetitive tasks, route questions to the best team member, and help customers help themselves with a branded self-service portal. Vision Helpdesk is 11 years young and serves 15000+ customers, It offers best customer service tools - solution for every size business. 1) Help Desk Software (Multi Channel Help Desk) 2) Satellite Desk (Multi Company / Brand Help Desk) 3) Service Desk (ITIL / ITSM Desk) - PinkVerify Certified Vision Helpdesk offers SaaS and Download version of above all products. It starts as low as $8 per mo per staff agent. Teamwork Desk is customer-centric helpdesk software that lets you put people first. We know that your customer’s experience is your priority. No matter the interaction, you want them to come out of it happier than when they started. Software can’t do that for you. But it can help you to do it better. Teamwork Desk gives you all the features you need — like shared inboxes, help docs, priority tickets, collision detection, canned responses, customer happiness surveys, and productivity indicators — to enable your team to keep customers at the heart of everything you do. EasyVista simplifies IT Service Management by making it easy to use and easy to deliver for today’s enterprise. EasyVista’s service management platform was created to help companies automate and personalize service delivery to improve IT efficiency and increase staff productivity. Today, EasyVista helps 1,000+ enterprises around the world radically improve service user experience, dramatically simplify and accelerate service creation, and reduce the total cost of IT service delivery. EasyVista serves companies across a variety of industries, including financial services, healthcare, higher education, technology, public sector, retail, manufacturing and more. Headquartered in New York and Paris, EasyVista is a rapidly growing global company backed by leading venture capitalists. AgentBot is an automatic customer service solution that uses Artificial Intelligence to understand and solve customer’s needs in real time. AnswerDash is a self-service tool that enables online businesses to give their website visitors the right information, in the right place, at the right time. With AnswerDash's AI Self-Service, companies can dramatically transform their customer experience while reducing support tickets and costs by 30% - 50% and improving customer satisfaction as well. Microsoft Dynamics 365 for Customer Service provides a unified platform that makes information available across engagements—so agents offer the consistency and personalization customers expect. As the market leader in Automated Customer Experience (ACX), Ada personalizes customer engagement by putting the power of AI in the hands of the people who know your business best. With Ada, it's simple for non-technical teams to build an automated, enterprise-class chatbot platform that solves 70%+ of customer inquiries. Moxie is changing the way eCommerce is done. Moxie anticipates what customers want, connecting and engaging with them through the entire digital journey across devices. Through Moxie’s solutions, including Live Chat, Email, Knowledge, and Web Self-Service companies have the ability to deliver the right engagement offer via the right channel to increase total customer value. More than 600 of the world’s leading brands in financial services, healthcare, high-tech, retail and travel and hospitality rely on Moxie to build loyalty and drive customer conversion and revenue. ProProfs Knowledge Base is knowledge management software used to create highly-searchable online FAQ’s to improve customer service and reduce tickets. ProProfs helps centralize access to all your files, documents and how-to articles ensuring they can be accessed across multiple devices and platforms. Organizations can easily share important information to train their sales, customer service and support teams. It is also an effective method for introducing new hires to company procedures during the onboarding process. ProProfs Knowledge Base improves productivity by making it easy for employees and customers to instantly find what they're looking for, whenever and wherever they need it. ProProfs Knowledge Base Software eliminates the need to answer the same questions over and over again. Customer service helpdesk software you can depend on. Deliver great customer service with our powerful and flexible helpdesk software. Beautifully designed. Simple to use. Flexible. Multi-channel. Powerful. Affordable. Your choice of Cloud or self-hosted On-Premise helpdesk. Engage and support customers through in-app tutorials Inline Manual provides a service to guide, support and engage prospects and customers right within an application. Easily create product walkthroughs, on-boarding guides, new features announcements, tooltips and manageable product documentation. Used and loved by small and big companies to get customers up to speed in no time, available for any web based product. All this without any coding. Magentrix Customer Community enables Customer Success teams to connect, engage and collaborate to deliver better customer service and support, reduce costs and improve customer satisfaction. Seamlessly integrated with Salesforce CRM and fully configurable, Magentrix Customer Community redefines collaboration to increase employee productivity, enhance self-service and improve communication. Magentrix Customer Communities are mobile-friendly, brandable and pre-configured with social collaboration, file storage and sharing, blogs, knowledge bases, forums, help ticketing, ideas, eLearning LMS, and dashboards so you can launch in weeks not months. Introduce your customers to a full self-service experience in a mobile and highly secure all-in-one customer community. In-App Knowledge Base to help you reduce the number of support tickets that you manage every day. Users can find the answer to their question when they need it the most: in your app. No need to leave, they can search through your knowledge base and contact you thanks to Support Hero. The best part? We help you to write better Knowledge Base by showing you what users are looking for and what you can improve. All-in-one support suite that offers 4 solutions from small to corporate business. - Feedback System; - Help Center; - Community Portal; - Knowledge Base; - Live Chat. Why Use Customer Self-Service Software? A complete customer experience extends into all aspects of your business, from your sales team’s early phone calls to the follow-up emails after service. If you have a physical store, your customer interactions and even decorations play a hand in customer satisfaction. This also applies to your live chat agents and your website as a whole. Ideally, you could offer in-the-moment human solutions for any and all inquiries into your business, including those in the middle of the night from across the world (e.g., answers to questions, product suggestions). Not only is this not a scalable service, but many issues are similar to each other and can be handled without the personal touch and demand on your agents. Customer self-service software enhances your online customer journey with informational, interactive customer portals that visitors can navigate without assistance. These self-service portals fill in any gaps that your real-life employees can’t reach, giving people the details and results they are looking for when visiting your website without the need for human intervention. There is still no substitute for compassionate, well-informed service agents to help address customers’ most pressing issues. With that being said, customer support technology such as web self-service tools are bringing brands and their customers closer together by emulating these interactions and empowering your visitors with the tools they need to learn about, troubleshoot, and purchase your offerings on their personal devices. Then, when it matters most, your contact center agents can get involved and elevate the customer experience to new heights. If your product or service could benefit from an FAQ page or other digital resources for customers, business partners, or even employees, a self-service application can assist with its creation, deployment, and administration. In other cases, you may desire to bolster online catalogs and stores with on-demand details or help guides. Finally, you may want to support live chat or phone service desk solutions with guided knowledge base access so customers can quickly retrieve valuable content when necessary. Digital self-service tools are a modern miracle for these situations, helping companies put the right information within users’ reach when they need it most. If your company has a distributed clientele, an increasingly diverse product offering, or complicated features or use cases—and perhaps a combination of all three—service software such as the products in this category can be instrumental in scaling your success. This technology can empower your network through multiple channels, giving visitors peace of mind and increasing the potential for new deals and repeat business. Customer service should always remain a top priority, and in the connected age, that includes these moments when a live agent is not always available. Implementing an interactive customer portal can be a logical, hugely beneficial step for your business and further legitimize your brand in the eyes of investors and global visitors. Most importantly, it can translate to improved customer engagement, customer experience, and customer loyalty, with memorable moments of service that were not previously possible. The applications in this category offer unique toolkits for developing and implementing self-service components into your online operation. The following are some common features you will come across in this category and how they may benefit your business. Custom knowledge base — Predictive responses to customer questions are perhaps the core benefit of self-service channels. When your website visitors want to inquire about product specifications or find how-to videos related to their purchase, you can direct them to the best solutions through self-service support software. This may entail integrating the tool with your existing knowledge management software or producing new knowledge base articles on common issues or queries. To curate the best answers for your self-service portal, you can build a customer-facing knowledge base or import answers directly from your internal knowledge base. Depending on your chosen product, you can modify your response or redirect flows so only specified details are made available in the knowledge management process or certain pages of your knowledge management solutions are opened for access to public visitors. Support desk routing — The underlying goal of these guided customer portals is to reduce the need or demand for a live support team at different points in the customer journey. For high-stakes sales moments or more urgent inquiries, like serious technical difficulties, customer service employees are irreplaceable. The tools in this category can integrate with other customer support software, such as help desk software, so support agents can intervene when the time calls for it or at least receive tickets so they can respond at their convenience. You can set up web self-service platforms so the correct employees are pinged at different experience points, and sessions can be properly routed to agents that can offer continued assistance. Guided membership updates — If your customers are unhappy with their service, would like to upgrade with new features, or simply need to make changes to their contact information, you can allow them to modify their memberships without going to a physical location or getting support on the phone. A customer portal can include quicklinks and commands that help visitors make changes to their service or personal information with a few easy clicks. Once settings are updated, customers can continue shopping or go on their way. Customer self-service software will often integrate with e-commerce platforms so that once visitors have the information they need or have the correct details in their profile, they can conveniently purchase additional goods or services from their personal devices. Analytics — Once these software tools are deployed, not only will you be assisting customers faster than ever before, but you will be observing new customer interactions, behavior, and preferences at a significant rate. Reporting and analytics tools within self-service portals can track this valuable data from all angles and provide high-level insights into your website performance and customer relationships. If certain questions are being asked far more often than others, it may mean that certain product features are confusing or the company is not being transparent enough about specific processes. In other cases, you may find that certain web pages are generating more questions than others. These insights are an added benefit of this service software that can translate to an optimized approach and increased ROI. The following technology trends are relevant to customer self-service, with many products offering features of or integrating with tools that fall into these categories. Artificial intelligence — Artificial intelligence (AI) pervades more industries year after year, and there is no end in sight to this technology’s influence or impact. It is a key component in the rising popularity of automated customer service, and a central characteristic of several products in this category. With artificial intelligence software, support teams can cultivate smart response flows that place the most relevant content or product suggestions in front of customers based on historical data and predictions. You can expect to see AI integrated into the in-person customer experience just as it has in mobile self-service solutions and other digital interactions, with intelligent retail assistants and customer support tools. When researching product options in this category, keep an eye out for mentions of AI and read how this trend could benefit your self-service support. Conversational marketing — Conversational marketing is tied to the rise of AI, helping brands identify and capitalize on sales opportunities without the need for human involvement. Conversational marketing software monitors activity on company websites and social media profiles, launching conversations with visitors that include personalized product recommendations, answers to specific questions, and redirect service to support agents or sales reps on live chat for closing deals. The same technology that suggests content or products based within web self-service platforms is used to initiate these conversations and provide valuable answers to customer questions at pivotal shopping moments. Both conversational marketing software and customer self-service software are related to chatbots software, which help automate conversations and redirect visitors at various points in the customer journey. Hi there! Can I help you find the best Customer Self-Service solutions?